Developing an effective website is a great way to build your small business and make it more visible to potential customers. Current customers will also be grateful for an easier way to communicate with you and get the information they need about your business and products. A strong web presence is a boon in just about any field. However, building a website for your business can seem overwhelming at first – particularly if you’re new to the task. You can hire an outside contractor to do the technical work if you have the resources, but even in that scenario you’ll want a say in most decisions. Making deliberate choices about your website’s build and appearance ensures that it serves you and your customers in the best way possible. Never fear – in this article we’ll explain the most important features any small business website should have, and give you some tips for implementing them. Let’s get started! WordPress is an excellent CMS for just about any blog or website. Deciding on a Content Management System (CMS) is likely the first decision you’ll make about your business website. A CMS is the software you use to create your site, and the one you choose will go a long way towards determining what your site is and isn’t able to do. There are a wide range of options out there, both free and paid. It can be difficult to judge so many choices, so we recommend you start by considering WordPress. This CMS powers over a quarter of the web, and can be easily used to build just about any business site you can imagine. This CMS is completely free and open-source. It’s beginner-friendly and easy to use. 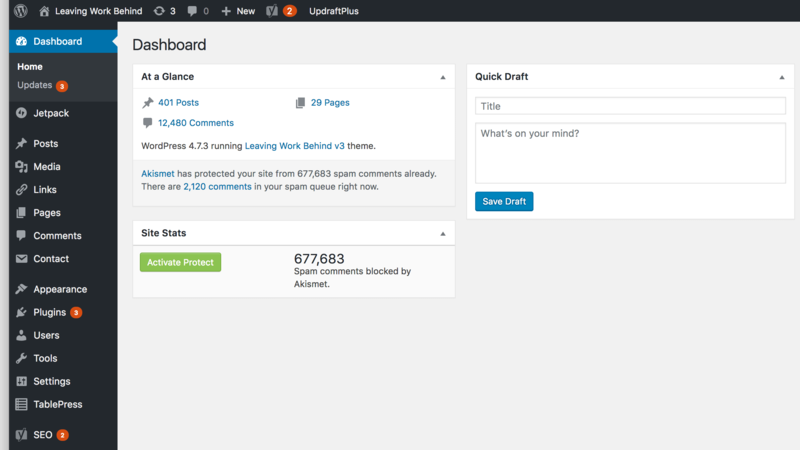 WordPress ‘core’ comes with a lot of key built-in features, while remaining lean. Themes and plugins enable you to extend your site’s design and functionality in just about any way you can imagine. Finding support and advice when you need it is simple. It is always evolving and getting better. There’s little you can’t do with WordPress, so we suggest you give it a try if you haven’t already decided on a CMS. There are plenty of documentation and resources available to get you started. 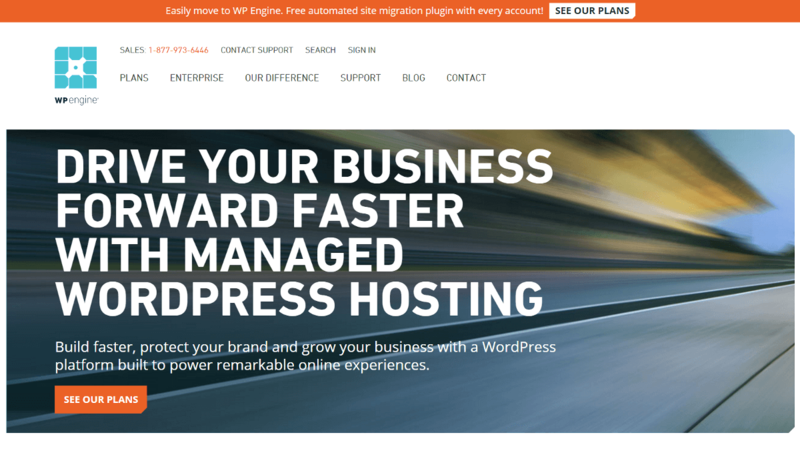 It’s a good idea to choose a WordPress-friendly hosting provider, such as WP Engine. A solid CMS will enable you to build your site, but you’ll need a hosting provider to get it online. Dependable hosting is vital, because it means your site will function reliably and be consistently accessible. You also want to ensure your hosting provider is as secure as possible, offers 24/7 support, and gives you the space and bandwidth you’ll need for a growing site. If you do decide to use WordPress, it’s important to keep in mind that some hosts are more WordPress-friendly than others. Your CMS and hosting should complement one another, so consider a WordPress-specific host like WP Engine or Kinsta if you want to ensure they’ll play nice together. There are plenty of other affordable, reliable options out there to choose from if you would like to cast your net wider, but regardless of the host you select, do your research and check out user reviews to determine if it will serve your site’s needs. 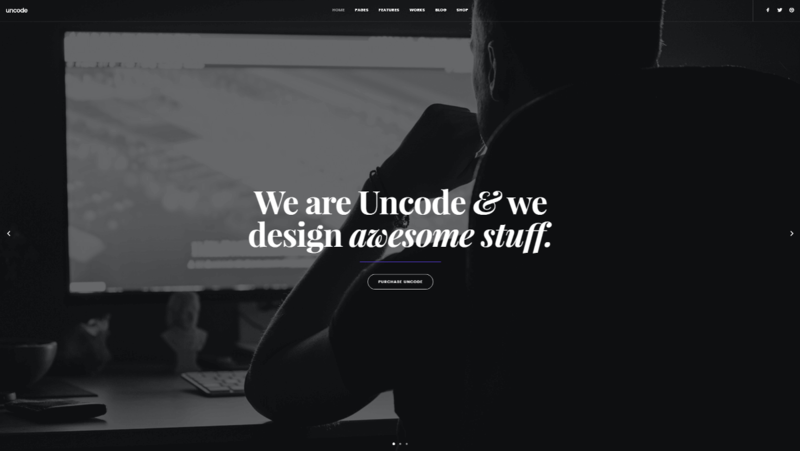 A user-friendly WordPress theme like Uncode will ensure the best possible customer experience. Once you’ve set up WordPress and worked out your hosting, you’ll want to settle on a theme for your website. Your theme determines how your site looks and feels to your customers, and controls how they interact with it. When building a business site, the key is to put the user first. You should select a theme primarily for its user-friendliness, to ensure that customers have a smooth, productive visit and find what they’re looking for quickly. It is flexible and customizable, so you can easily brand and design it with your customers’ needs in mind. It offers many layouts to suit different niches, including several choices for business and e-commerce sites (see Classic Business for an example). Various menu styles and widget options make it easy to build effective navigation. It is compatible with all major browsers and fully responsive, so customers will have a positive experience, no matter how they visit your site. 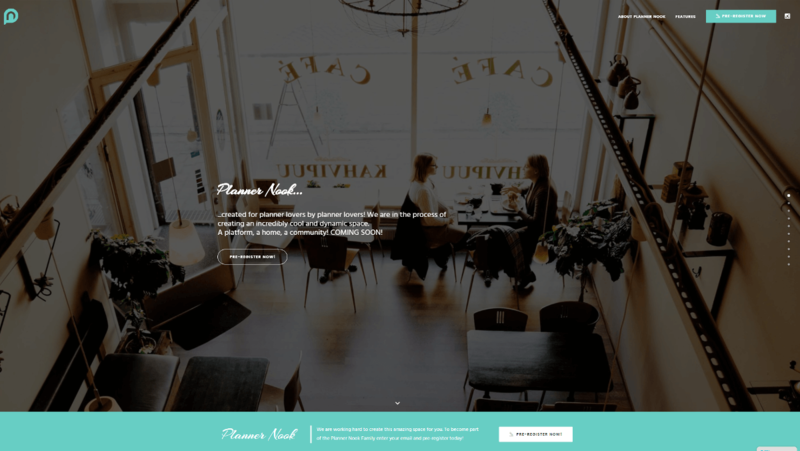 Every awesome WordPress site starts with a well-chosen theme. We urge you to give Uncode a try – it has all the features you could want for a business site and more. A website’s speed affects its usability, and should be monitored closely. Just like choosing the right theme, ensuring your site runs quickly and performs well is crucial for ensuring the best user experience possible. Particularly for a business site, user experience is everything. A slow site results in frustration and drives customers away, and a site that performs poorly (or is frequently down) can lead to lost business. Excellent speed and performance also boost your site’s Search Engine Optimization (SEO), which means more potential customers will find you in the first place. Fortunately, if you choose the right hosting provider and theme you should have these bases mostly covered. Stellar hosting ensures your site performs well and stays online reliably, and a high-quality theme like Uncode keeps your content loading quickly. Don’t just take it for granted that these factors are working as they should, however. Run as many tests as you can, on different devices and browsers when possible. 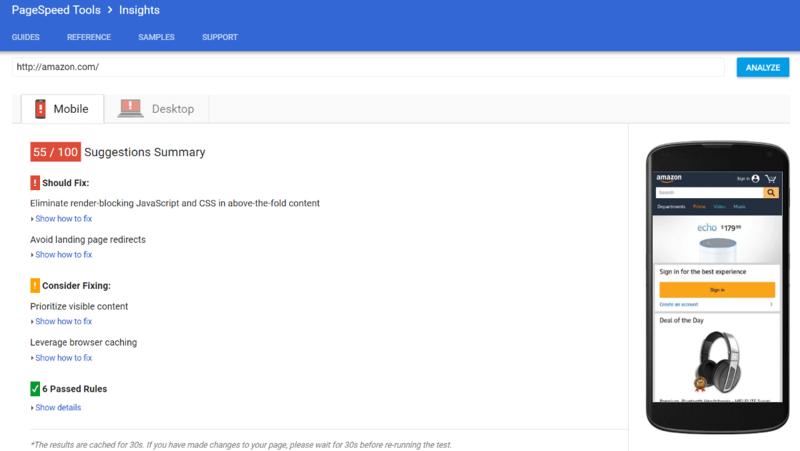 There are a lot of tools out there that can help you with this task – we suggest starting with the Google PageSpeed tool to test your site’s speed. Any modern site should be fully responsive on mobile devices. 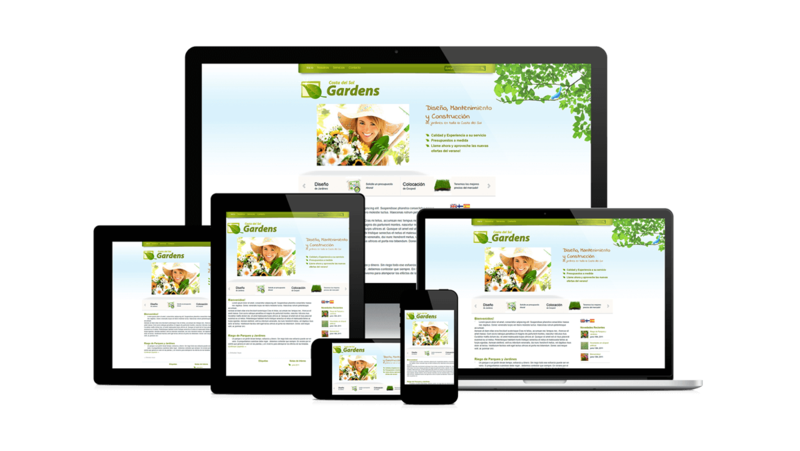 Responsive design simply means building a site that changes based on the device a visitor uses to connect with it. A smaller screen means less space, so your site has to know how to scale itself down when necessary and only show the most important information. Customers are now more likely to access your site using a mobile device than a desktop computer, so getting this feature right is very important. Anyone who visits your site should be able to have the experience you intend and find what they need effortlessly. Choosing a theme like Uncode (which is fully responsive) helps a lot – the theme will do most of the work for you. It’s also a good idea to test out your site’s responsiveness once it’s built. You can do this yourself by visiting your site and trying out its features on as many devices as you have access to. There are also online tools that will evaluate your site for you. Either way, it’s best to ensure you have a fully responsive website on your hands before you go live. Business sites can benefit from plugins for e-commerce (such as WooCommerce), SEO, analytics, and more. It’s all well and good to have a fast, responsive site, but that won’t matter much if it doesn’t have the capabilities your customers need. WordPress provides key functionality by default, but the core CMS is relatively bare bones (which is intentional – it needs to be adaptable to all kinds of blogs and websites). Chances are you’ll want some additional options. Thankfully, WordPress users have access to an unparalleled number of add-on options in the form of plugins. You can use plugins to extend your site in just about any way you can imagine. With that in mind, start by making a list of everything you want users to be able to do on your site, and then seek out plugins that will make those requirements possible. Keep an eye out for solutions that will tackle multiple items on your list at once, which will help to keep your site ‘lean’. Jetpack: If you’re looking for a package solution that offers a ton of options, Jetpack will help you out with analytics, social media sharing, SEO, advertising, and more. Yoast SEO: Solid SEO will ensure your site ranks highly in search engines, and this plugin provides a host of features to improve your optimization. WooCommerce: If you want to develop an e-commerce site, this plugin is the best option out there to allow customers to purchase goods and services online. We could go on – there’s a plugin out there for almost anything you might want to do. You can find plenty of plugin reviews and roundups via a simple Google search, and you can also check out the official WordPress plugin directory for access to tens of thousands of free solutions. Integrating your site with popular social media platforms can improve your relationship with your customers. Good business isn’t just about providing quality products and services; it’s also about building a relationship with your customers, and positioning your company as a trustworthy and reliable entity. Social media is one of the strongest tools available to help you out with this task. It can can let you communicate more easily and effectively with your customers, and build a solid relationship by providing information, updates, and answers to questions. Social Media: Adds customizable icons to your website. Social Media Auto Publish: Enables you to push blog posts and site updates automatically to social media networks. Rotating Tweets: Displays your most recent Twitter activity in a rotating animation. Facebook Feed: Pulls information from Facebook and displays it automatically on your website. It’s easy to find both packaged social media solutions and targeted plugins for individual networks. Check out the plugin directory or any social media plugin roundup for more ideas. This showcase site built with Uncode displays the visual impact of strong branding. By now you’ve put a lot of thought and effort into making sure your site functions effectively. It’s important not to neglect the visual aspect, however. For any business site, the most important part of your visual design will be your branding. Remember that there are millions of websites out there – many of them competing for the same users and customers you’re targeting. You need to maintain strong, memorable branding to ensure you stand out from the crowd. Logo and tagline. If you have these already established, you probably want to use them somewhere prominent (like within the site header). If not, now’s a good time to start thinking about creating them. Use of color. Associating a specific color or combination of colors with your business will help make it memorable, and using those colors on your site will link them more strongly with your products or services. Style and tone. Whether it’s serious, playful, formal, or irreverent, try to find a style and tone for your content that is appropriate to your audience and market. Layout and design. The key here is to keep your visual style consistent – and again, to make sure it’s appropriate to your particular niche. It’s a good idea to keep your branding as consistent as possible and use it frequently, so users come to associate it with you. Fortunately, there’s plenty of advice out there to help you build a unique brand and incorporate it into your web presence. Building a website for your small business is something that will take time and a great deal of thought. You don’t want to rush the process – you want to ensure you’ve created a resource that will repay your investment many times over in the form of added business and more satisfied customers. Fortunately, there are a lot of easy ways to make that happen. Do you have any questions about how to build an effective small business website? Ask away in the comments section below! Image credits: Wikimedia Commons, Pexels.